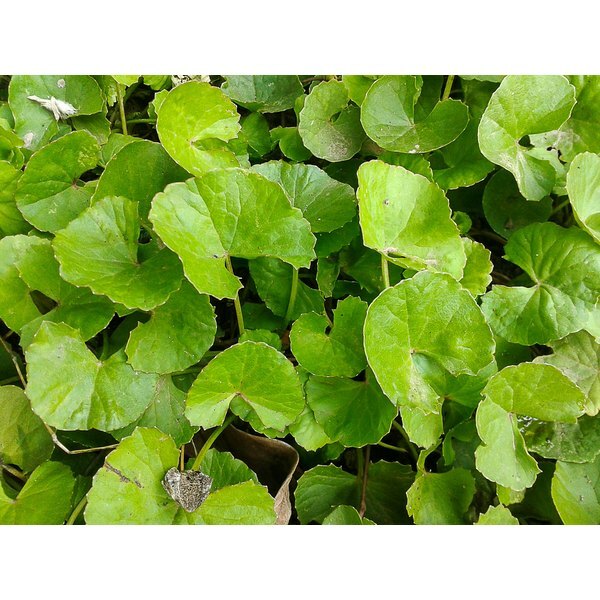 Gotu kola, an herbal supplement, may therapeutically treat fatigue, memory loss, flu and colds, nausea, ulcers, urinary tract infections, diabetes, liver problems, diarrhea, depression and anxiety. This herbal supplement has not received approval from the U.S. Food & Drug Administration as a medication, however. Before taking any new herbal supplements, check with your doctor. People using this herbal supplement may experience side effects. This herbal supplement may help to treat your fatigue. Feeling tired and lacking energy does not help you when dealing with everyday tasks. If you feel fatigued often without excessive work, play or exercise, you may find some benefit from gotu kola supplements. Gotu kola also may help to lessen the symptoms of mental depression, Drugs.com indicates. Depression, however, can occur as a serious threat to your mental state and life, so discuss thoroughly with your physician or psychiatrist the possibilities and implications of using an herbal remedy such as gotu kola in your treatment. Your health care provider may want to prescribe approved medications for your improved health, but also may approve your use of gotu kola as a complementary form of treatment. Diabetes, a silent killer along with high blood pressure, can cause many health issues to become higher risks for you. Drugs.com indicates that herbalists have provided gotu kola as an herbal treatment for diabetes. By your efforts to receive help for diabetes with this herbal supplement you may lower your blood sugar and feel healthier. Feeling healthier and happier comes with stabilizing a high blood sugar. First, consult with your doctor before starting this herbal supplement. Your stomach may become irritated when you take the gotu kola supplement, the American Cancer Society reports. You may feel ill or nauseated at the sight of food. Unless stomach irritation and nausea persist, you may not need aid from your doctor. However, if this ill feeling continues, consult your doctor for advice and treatment as necessary. You will need to stop this supplement until you speak to your doctor. Drowsiness, a side effect of gotu kola, may cause you to need sleep, the American Cancer Society indicates. You should not drive a vehicle when feeling drowsy. Such a side effect generally will occur only as you develop a tolerance for the supplement, then it should disappear. If it persists, ask your physician about it. Sensitivity to the sunlight may occur as a side effect of gotu kola, the American Cancer Society reports. The sun may feel brighter than usual in your eyes, and you may burn easier in the sunlight. Wearing sunglasses, long-sleeve shirts and sunscreen may help.